Maha Nuge Gardens in Colombo, Sri Lanka was such a powerhouse – community life at its very best. 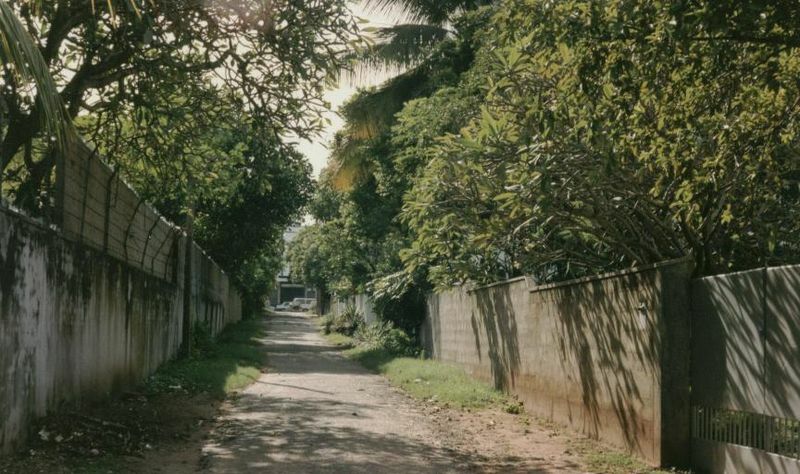 People taking a stroll down this quiet lane in Kollupitiya may not be aware that Maha Nuge Garden is rich in history, it was the home to one of the oldest addresses in Colombo – No 20 Colpetty and this where the pioneering Sri Lankan broadcaster Vernon Corea lived from around 1964 to 1975. Maha Nuge Gardens was a powerhouse of politics, media, music, commerce and broadcasting. The Corea Family enjoyed some of the best moments of life together as a family at No 5 Maha Nuge Gardens. 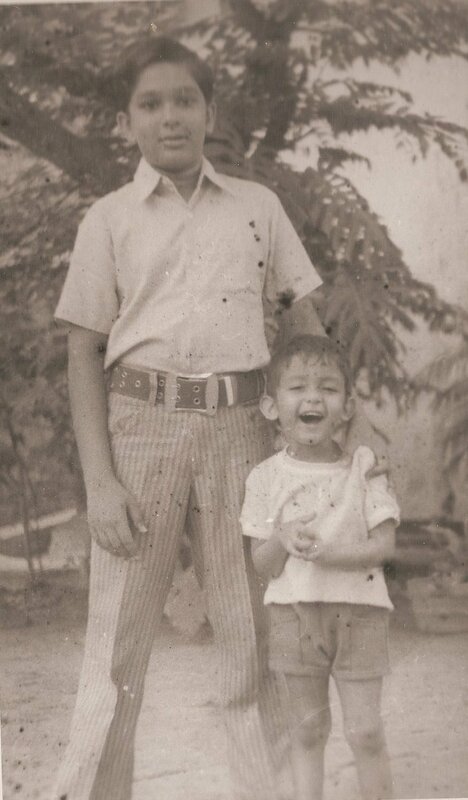 Vernon’s children have always maintained that living in Maha Nuge Gardens was an education in itself. People from all walks of life have been down this lane so rich in history. The Governor General of Ceylon William Gopallawa,the Prime Minister of Ceylon Dudley Senanayake, Finance Minister J.R.Jayawardene, Speaker of the Parliament Shirley Corea as well as members of the Rodiya Community – the poorest of the poor in Sri Lanka have been to 5 Maha Nuge Gardens when Vernon’s father the Reverend Canon Ivan Corea passed away in 1968, they came to pay their respects to a priest who had championed the rights of the poor. 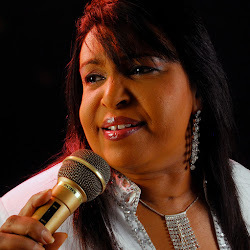 So many people have been to Maha Nuge Gardens – from Rukmani Devi and husband Eddie Jayamanne to Clarence Wijewardena, Annesley Malewana and the Moonstones – people from the East-West Centre in Hawaii to the Editor of BBC TV News. So many people came to see Vernon for advice or just to have ‘a chat’ with the popular broadcaster. Vernon was also the life and soul of the Maha Nuge Gardens Community. People were in and out of each others homes, Christmas was an exciting time down Maha Nuge Gardens – there were Christmas parties and even shows. 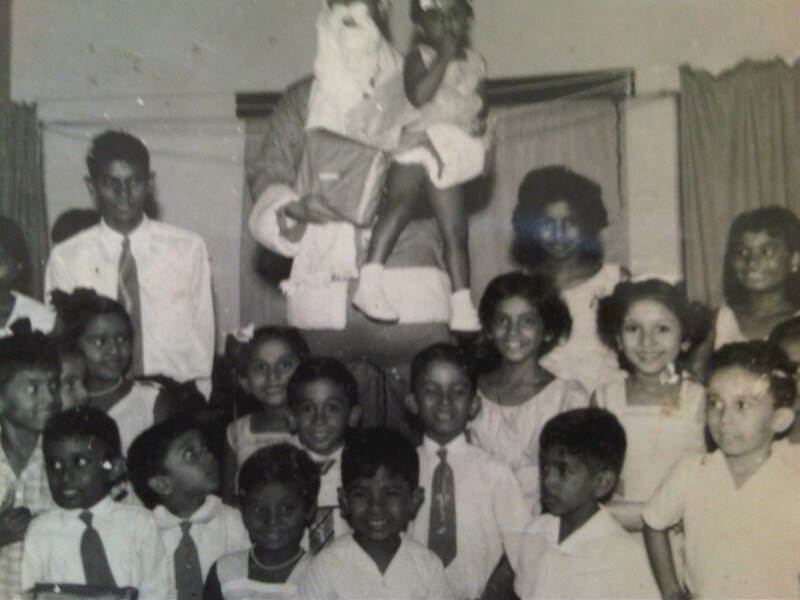 This was community life in Sri Lanka at its best. People cared for each other and looked out for each other. It was like being a member of a big family. The street was previously known as ‘Captains Gardens,’ and 1st Lane, Colpetty. Sir Harry Dias Bandaranaike bought the property ‘Alcove’ from Sir Anthony Oliphant, Chief Justice of Ceylon, who lived here with his family during the British Era. Sir Anthony Oliphant and his son Laurence Oliphant have been credited with introducing tea to Ceylon and being the first to grow tea plants on the Oliphant Estate in Nuwara Eliya. His son Laurence who became a well-known author and international traveller, spent his early childhood in Captains Gardens. After purchasing ‘Alcove’ from Sir Anthony Oliphant, Sir Harry Dias renamed Captains Gardens to Maha Nuge Gardens because of the huge Banyan (Nuge) tree on the property. 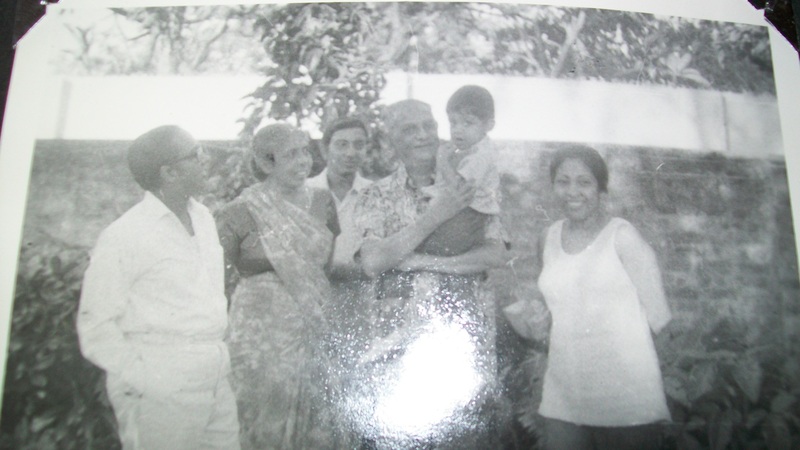 This was the beginning of the Maha Nuge Gardens connection with the Bandaranaike dynasty in Ceylon. Sir Harry Dias Bandaranaike was the first Sinhalese to be called to the Bar in England, the first Sinhalese to be appointed a Judge to the Supreme Court in Ceylon, he was also knighted by the King. Sir Harry also served as an Official of the Legislative Council of Ceylon. The very second house in Maha Nuge Gardens was the residence of the hugely influential and powerful politician, Felix Dias Bandaranaike, nephew of Prime Ministers Solomon Bandaranaike and Sirimavo Bandaranaike. 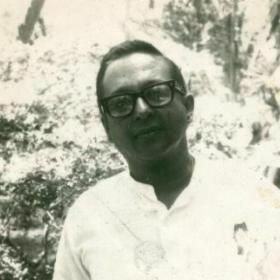 Felix Dias Bandaranaike was Minister of Justice in the Sirimavo Bandaranaike Administration, from 1970 to 1977, when the SLFP won the elections. His residence was heavily guarded by the Sri Lankan Army when the JVP launched a (failed) revolution in April 1971 after installations came under attack in Colombo. The Prime Minister of Sri Lanka, Mrs Sirimavo Bandaranaike and politicians have all visited Justice Minister Felix Dias Bandaranaike, at his residence, in the early 1970s. Samuel(Sammy)Dias Bandaranaike, cousin of the Prime Minister of Ceylon, S.W.R.D.Bandaranaike, owned several properties in Maha Nuge Gardens. He worked for several years in the Agricultural Department in Sri Lanka and was very much a charismatic figure in the local community. 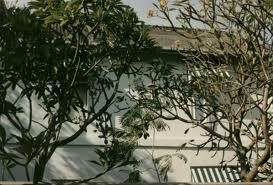 The well-known Sri Lankan musician, Elmer de Haan lived here in an upstair flat, owned by Roland and Esther Dias Abeysinghe. He was a famed concert pianist and composer and lived down the lane for several years in the early 1970s. 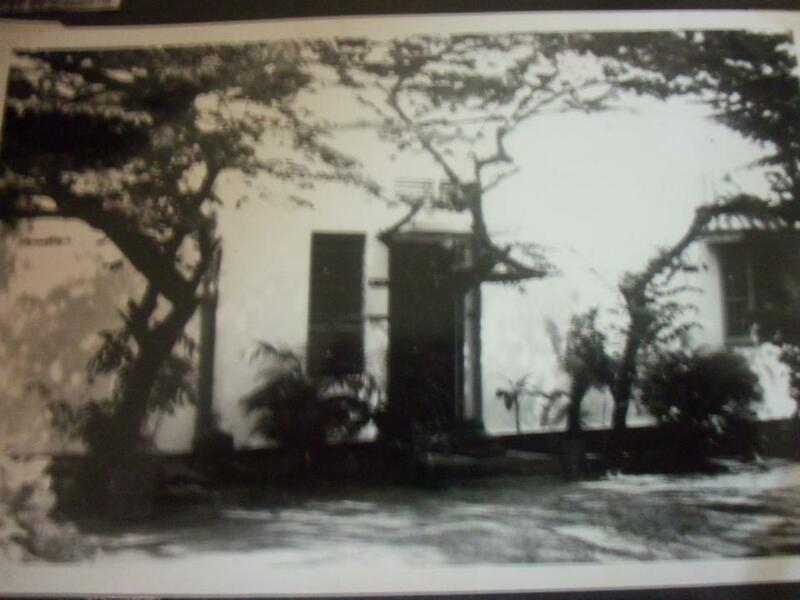 No 5 Maha Nuge Gardens was once referred to as ‘The Snuggery.’ The property was known as “No 20, Colpetty” in the 1900s, it stretched from Galle Road, with its lawn stretching eastwards right down to the Beira Lake. No 5 was twice its size when it was first built, with kitchens, servants quarters and stables stretching along the Northern perimeter, forming the top stroke of the T-shaped layout of the house. The upper story of this historic building was added in the early 1900s to provide rooms for a parson from England. At the time the residence of the Bishop of Colombo (Church of Sri Lanka) known as ‘ Bishop’s House,’ was situated in the adjoining property. According to the Centenary Volume of the Church Missionary Society, published in the 1900s called: One Hundred Years in Ceylon 1818-1918, there is a reference to ‘The Snuggery,’ the historic home was rented out in 1906 as the headquarters of the CMS in Colombo. The block of four flats at the back of No 5 was designed by the world famous Sri Lankan architect Geoffrey Bawa, when he was just starting out as a young designer. The old No: 5 was demolished in 2006, to make way for a new home. Also residing in Maha Nuge Gardens was the pioneering banker E.C.G. 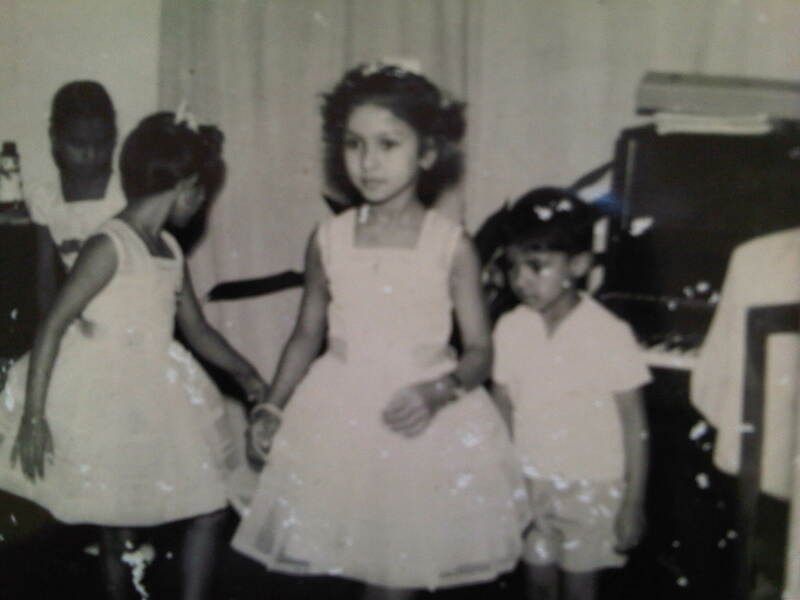 (Lyn) Wickremasinghe who was General Manager of the Bank of Ceylon in Colombo. 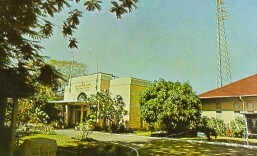 After his retirement he was appointed Director-General of the Bandaranaike Memorial International Conference Centre (BMICH) in Colombo, the premier conference venue on the island. The residents of this lane fostered a real community spirit and racial harmony – for many years the families held annual Christmas parties – it was a gathering of the local Maha Nuge Gardens community. 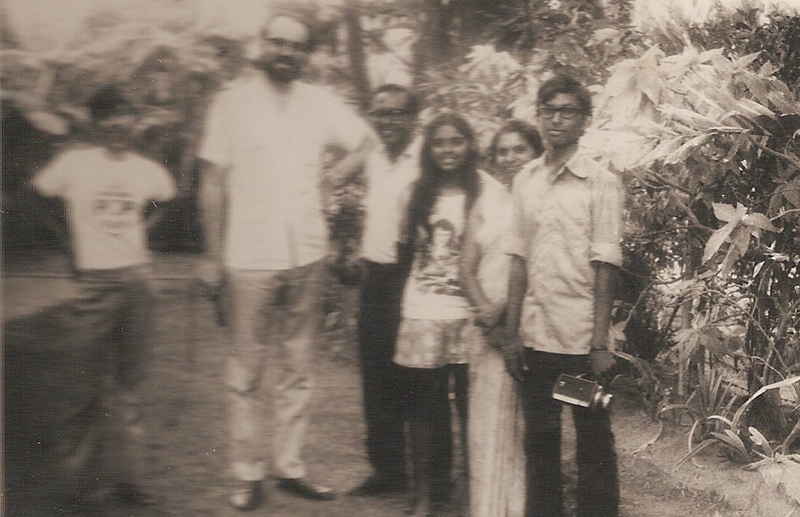 In terms of youth culture, the young people who lived down Maha Nuge Gardens were featured on the BBC World Service in 1972 as they had formed the only branch in Colombo of the BBC World Service Pop Club. The lane received international coverage in April 1971 when on a visit to the island, BBC Television News Editor Michael Broadbent stayed here. Broadbent suddenly found himself in the middle of a (JVP) revolution and relayed news from Maha Nuge Gardens to the regular BBC news bulletins. 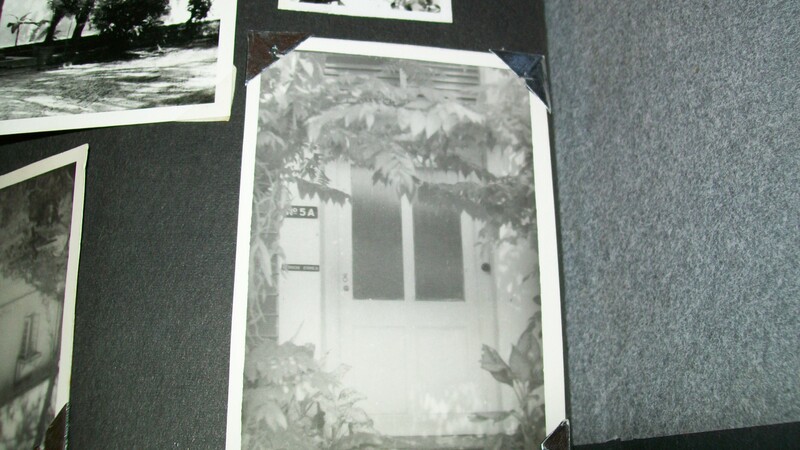 This is a very historic picture – The original No 20 Colpetty – one of the oldest addresses in Colombo. Vernon Corea lived in what was left of the original home called 5 Maha Nuge Gardens in the 1960s and 1970s. 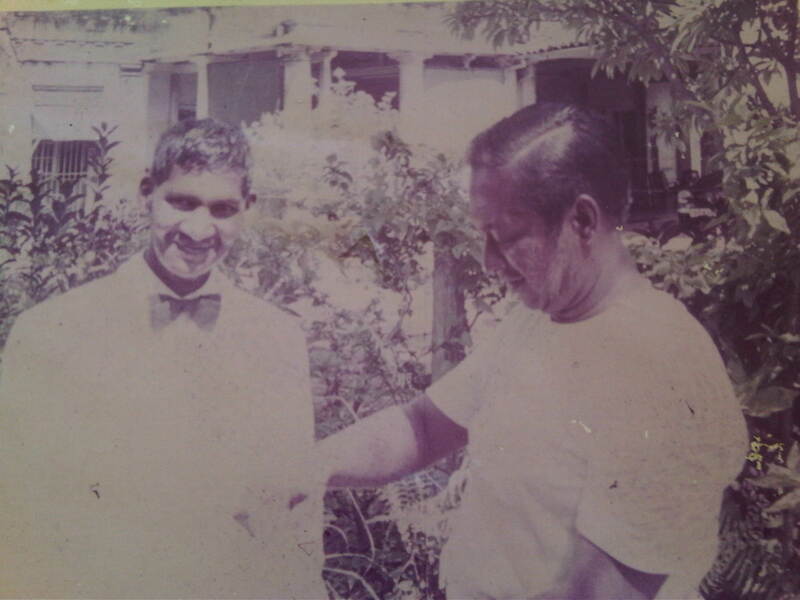 This photograph was taken in the early 1970s when Sri Lankan broadcaster Vernon Corea was living in the historic house – 5 Maha Nuge Gardens. No 5 Maha Nuge Gardens in Colombo, Sri Lanka. 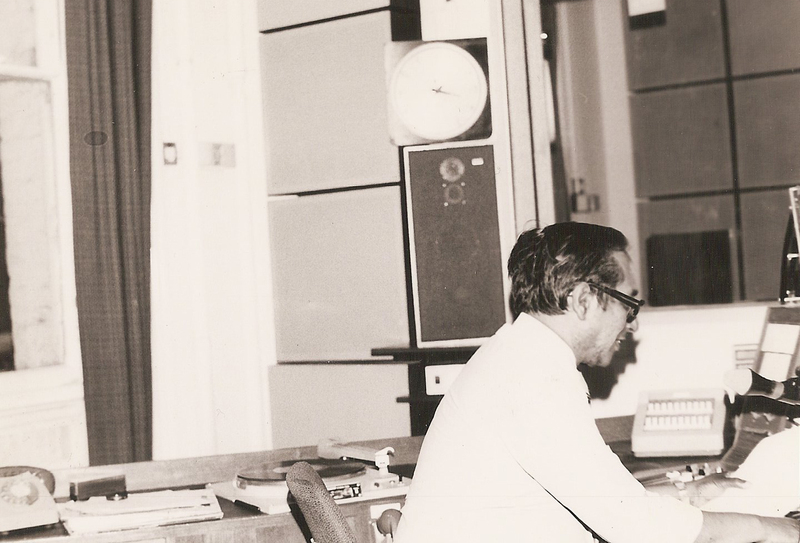 This is a photograph of Sri Lankan broadcaster Vernon Corea taken in the early 1970s at No 5 Maha Nuge Gardens. Ernest Corea’s two sons Lester and Andy Corea at 5 Maha Nuge Gardens in the 1970s. 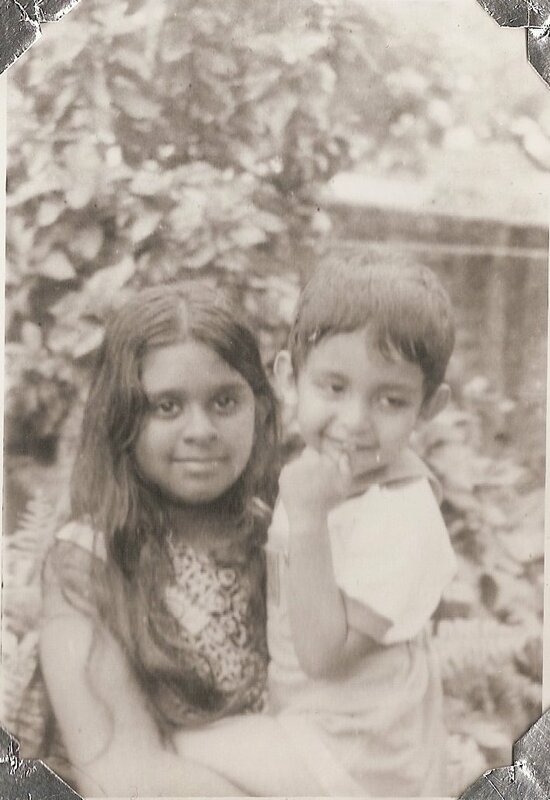 Vernon’s daughter, Ouida Corea with her cousin Andy Corea at 5 Maha Nuge Gardens in the 1970s. 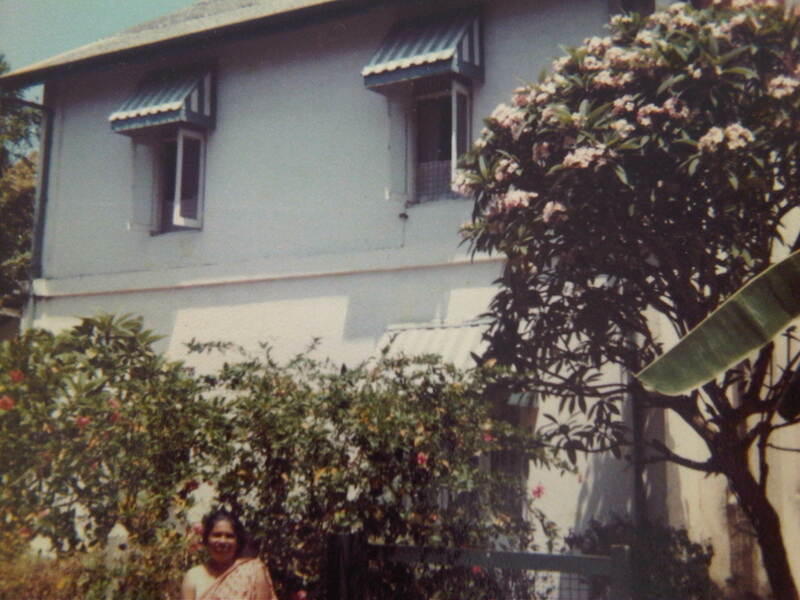 A side view of the historic home – 5 Maha Nuge Gardens in Colombo on the right hand side was an annexe room called the ‘Down Room.’ Vernon Corea and his family lived here from the 1960s to the 1970s before they left for the United Kingdom. 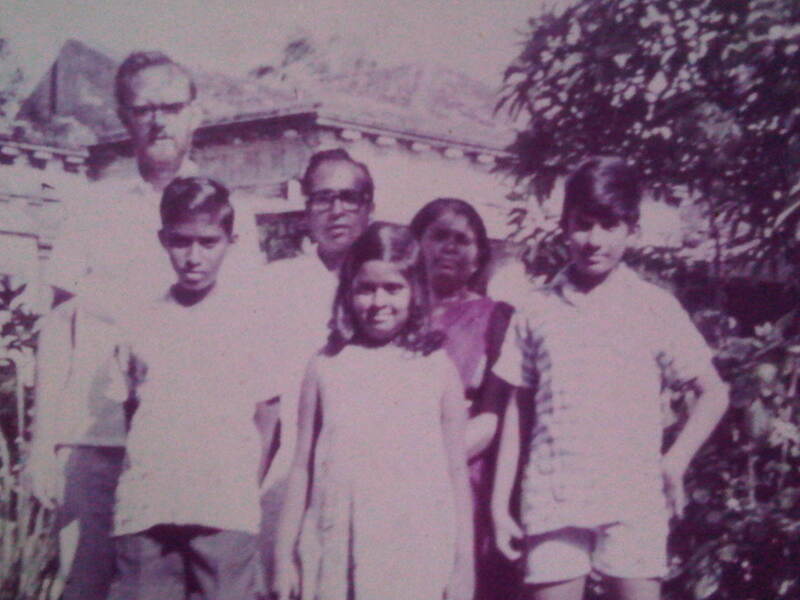 BBC TV News Editor Michael Broadbent with Vernon Corea and his family at 5 Maha Nuge Gardens in 1971. Broadbent suddenly found himself in the middle of a JVP Revolution and relayed news to the main BBC bulletins from Maha Nuge Gardens. 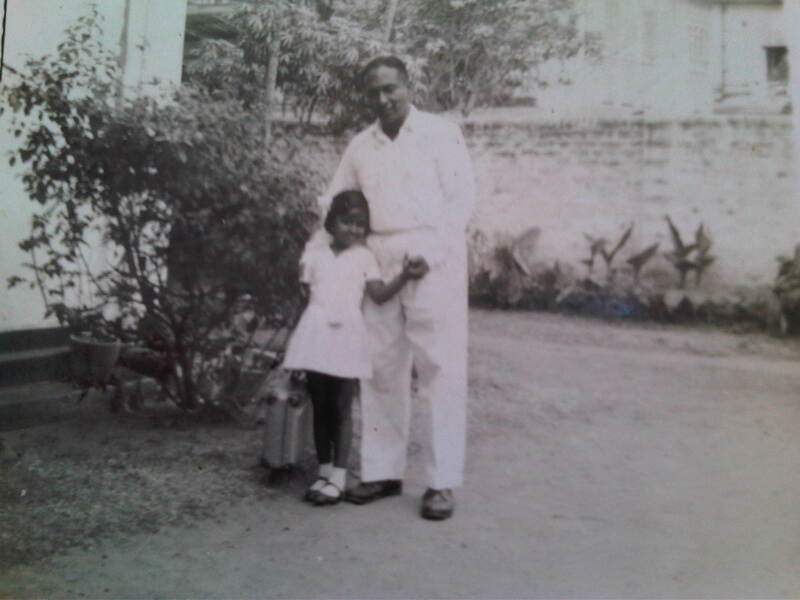 Broadcaster Vernon Corea with his daughter Ouida at 5 Maha Nuge Gardens – this was the first day of Ouida’s school at Methodist College in Colombo. A Christmas Party down Maha Nuge Gardens in Colombo Sri Lanka. Vernon Corea might possibly have been Santa Claus at the party. 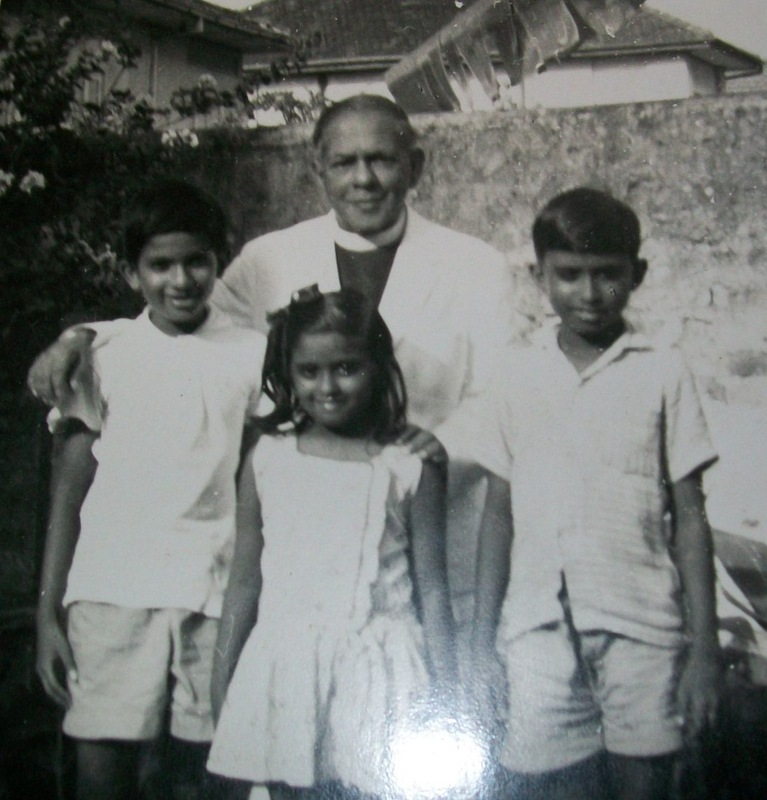 Reverend Canon Corea with Vernon Corea’s children in Maha Nuge Gardens in the 1960s. The front door of No 5 Maha Nuge Gardens – a historic home in Colombo. Vernon Corea (left) with Indra Corea’s family in Maha Nuge Gardens. Vernon Corea and his family with top BBC Executive David Barlow at 5 Maha Nuge Gardens. David Barlow was seconded to Sri Lanka and worked with the Sri Lanka Broadcasting Corporation in the 1970s.